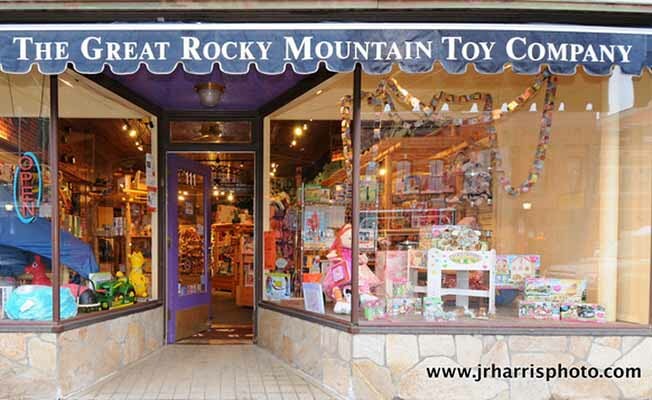 The Great Rocky Mountain Toy Company, founded in 1992, is more than a great toy store, it is a destination. Step into our locally-owned shop featuring murals depicting the Gallatin Valley, follow our trains as they traverse bridges and wind their way in and out of tunnels, find treasure in the Grizzly Gulch Mine and marvel at the saltwater aquarium while shopping our terrific selection of specialty toys. Our mission is to assist our customers in finding the best toys efficiently and at great prices. We do not offer thousands of toy products but instead hundreds of great toys that are proven in our store to be the best of the best. Free gift wrapping too! Please utilize our parking in the alley behind our building when shopping in the Toy Company.